A 65-year-old man Thursday succumbed to burn injuries he received in the Mumbai hospital fire, bringing the total number of people killed in the tragedy to 10, an official said. Besides, 116 injured people, including some children and firemen, were undergoing treatment in seven hospitals across the city, he said. Kisan Naravade died at the Holy Spirit Hospital in suburban Andheri due to burn injuries. With this, the death toll in the tragedy rose to 10, the official of the city civic body's disaster management cell said. He said 53 patients were so far discharged. The fire broke out in the government-run ESIC Kamgar Hospital at Marol in suburban Andheri Monday, killing six people that day. The death toll rose to eight Tuesday, with two more persons dying in different hospitals. 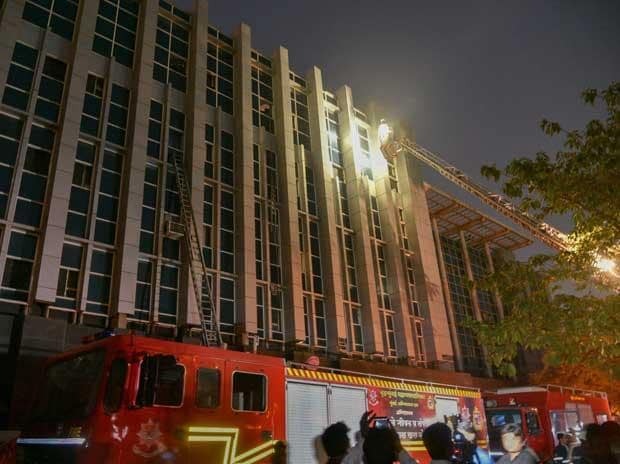 The 325-bed hospital did not have the fire department's no-objection certificate (NOC), mandatory for such institutes to function. Nearly 375 people, including patients and visitors, were in the five-floor hospital when the fire broke out, an official had earlier said. The blaze appeared to have erupted after a short-circuit near the rubber rolls stored on the ground floor, he had said. Maharashtra Chief Minister Devendra Fadnavis had Tuesday ordered a probe into the incident and the Union Labour Ministry had announced compensation for the victims.